Rolleiflex Automat, Model 2, K4B. with Carl Zeiss Tessar 1:3,5 f=7.5cm lens. very light edge mark in viewfinder - possible fungus. Un Rolleiflex SL 35 E - Etat d'usage mais il fonctionne (déclenche) -. - 5 filtres 1 bonnette pour les différents objectifs -. - Expédition Colissimo ou Mondial Relay -. 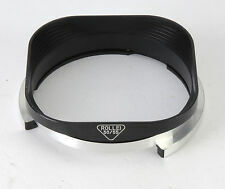 You are bidding on a Rollei Rolleiflex 3.5F 75mm Zeiss Planar Camera. This was my grandfathers camera. Do not know if this camera is in working condition. Hence why I am starting this bid at $1.00. Comes with camera only. For additional pictures contact me. Viewfinder lens is Heidoscop-Anastigmat 3.1/75, uncoated, ser. Shutter is famous Compur with speeds 1-1/500, T and B. Famous old prewar TLR. This type was made by Franke & Heidecke in Germany in years 1932-38. Rolleiflex Camera 1954 - Very Nice! I believe the Production Date is 1954 or 1955. As the best TLRs in the world, Rolleiflex are the most desired TLR model in the nostalgic film photographers. Don't miss the chance. Details pls refer to the pics. ◆ Overall Condition:Mint. It has no affect on image results whatsoever. Vintage Rollei Rolleiflex with Schneider Kreuznach Xenotar 1:2,8/80. Condition is Used. Shipped with USPS Priority Mail. Great piece of 1950’s history. I just bought this it’s as is. I am not camera person. If someone knows more let me know. RARE Rollei Rolleiflex Store Display Advertising Poster - MADE IN GERMANY! Vintage Rolleiflex Rolleimeter Rangefinder for Rollei 2.8F and Others ! Rolleiflex 2.8 C type 2 Xenotar 2,8 80 mm. The lenses are clear. Slight traces on the shooting lens. (UV coating). On the lenses, No visible scratches, no visible fungi, no visible dusts. The focus is fluid. The lens was checked OK recently.". The back is a little hard to open. It requires a bit of careful force. (doesn't affect anything but worth noting). There are also a lot of scratches aka "cleaning marks" on the lenses. 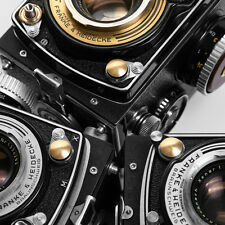 this is very popular middlle format 6x6cm camera. camera in the very good work condition. shutter work. lens clear. light meter work! include front cap. test foto you see in descriptions. you buy this what you view. sell as is. deliver on the all world.over express mail where it possible. if you have questions please request. Shutter works but hangs up or stays open at 1/10th and slower. Quite a clean example by comparison with many I have seen. Serial number is 158747. Includes a beautifully worn case with strap. Film roll shown is not included. Rollei Rolleiflex 4x4 3.5 Original Baby. Rollei Rolleiflex 4x4 3.5. It is really a very beautiful object. Original Baby. The focus is fluid. The view counter is working. 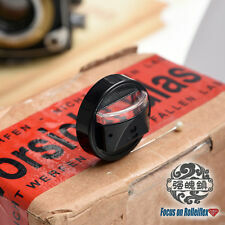 It is supplied with a lens or a filter equipped with a diaphragm. Rolleiflex 3.5 E type 1 Planar 3,5 75 mm. Appareil photo en excellent état, compte tenu de son âge. Le boîtier est excellent état esthétique. Quelques éraflures sur la peinture. The focus is fluid. The viewfinder works well and is clean/clear. The mirror is missing no silvering but the coating is a bit worn due to age. Works well for focusing/framing. The focusing moves well and smoothly. The aperture works well though it is also pretty oily. The shutter speeds sound appropriate down to about 1/8th second and then it will hang open, fine for general hand-held picture taking. The glass of the viewing lens looks clear with a few minor scratches, the f3.5 Carl Zeiss Tessar taking lens looks better. Unit are perfect working condition. C a m e r a i n picture n o t i n c l u d e d. Couple o f scratches o n leather. S e e detailed Pics f o r condition. l ow starting bi d wi th n o re se rv e.
The knob has an ASA/DIN reminder and fits over the standard knob on many Rolleicord models. Rollei Magazin 4560 120/220 6x4.5. This Magazine is Very Clean and Clear. This Magazine is Excellent Shape and Excellent Working Condition. What you see in the photos, What you get! This is very popular middlle format. where it possible. you buy this what you view. 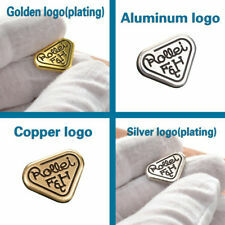 Made by Rollei, Franke & Heidecke, in Germany - body no. : 3,5F 2829987. Lower/taking Lens: Carl Zeiss Planar 1:3,5 f=75mm, Lens #: Nr4773665. Used and working, generally in great condition for its age. A Rollei Rolleiflex Rolleicord Plate Adapter Group - everything as shown in the first picture. All components in nice condition - the glass would benefit from a clean. One dark slide is missing. These are not considered defects. ( Take bay-1 acc. ). The leather case is embossed "Rolleikin 2.8" and "Rollei F&H". Leather case. Direct Viewfinder Mask. Take up spool. Rolleiflex K4 f3.5 Tessar Automat. With a little bit of work, it is now a good daily shooter again. If you are looking to get a Rolleiflex that you can start using, I think this is a great buy. All of the shutter speeds work and sound accurate to the ear. The glass is free of haze, fungus, separation and scratches. Great Rolleiflex 2.8F planar f=80 mm/2.8 Carl Zeiss lens with tripod. A Rolleiflex pistol grip with leather strap for 2.8/3.5 TLR in excellent condition. This is a beautiful vintage Voigtlander Superb TLR camera. There are some mars and scratches as shown in the pictures but it is just cosmetic. This would be a great addition to any enthusiast’s collection. Lens is Focal MC Augo 1 : 2.8, f=2.8mm, No. 553241. Lens made in Japan. EARLY MODEL, WITH 75mm F3.8 TESSAR. TAKING LENS IS NICE AND CLEAN, NO MOLD, LIGHT HAZE. SHUTTER WORKS AT ALL SPEEDS, OFF AT TOP 300/SEC. Free local pickup is available from our warehouse in Louisville, Colorado or other agreed upon location. Rolleicord Vb TLR White Face with 75mm f3.5 Xenar lens with case Cla'd Ex++!